Based in Antwerp, Belgium, Hedgren was created by well-known Belgian designer, Xavier Kegels, back in 1993, showing over 20 years of heritage. The brand’s product collections consist of handbags, shoulder bags, backpacks and business bags for both men and women. As its target market remains to be urban professionals, Hedgren has come up with a highly-successful Style Clinic series, which aim to help these professionals develop not just a better sense of style but also a better sense of self through informative and highly-engaging programs. 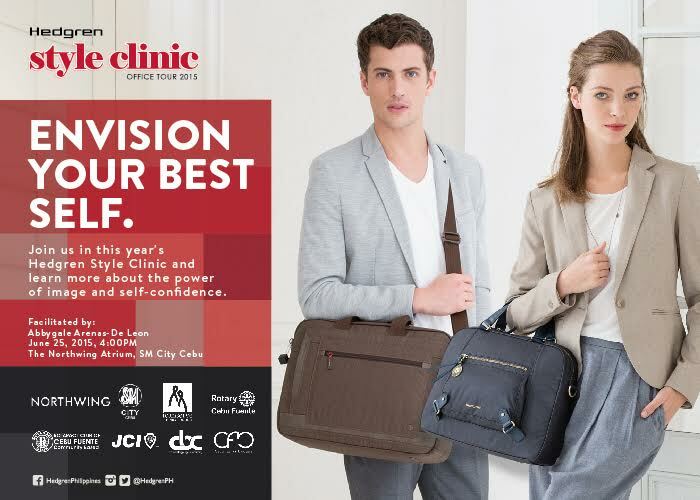 For this year’s Style Clinic, which will be held tomorrow, June 25, 2015 at The Northwing of SM City Cebu, participants will be treated to a two-hour productivity talk facilitated by beauty queen, model, and certified image consultant, Abbygale Arenas De Leon. This training program will cover various personality development concerns simplified through the acronym, POWER – Perfect Smile, Open Stance, Warm Body Language, Excellent Appearance, and Revamp Outfit of the Day. Hedgren will give the participants practical advice that will help them look and carry themselves appropriately at work. Also on the agenda is a special talk on the different types of Hedgren bags that are suitable for every need and occasion. 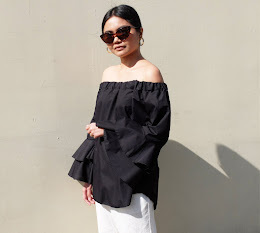 In addition to the Style Clinic platform, as a follow through, Hedgren will be awarding a Style Ambassador, a top performer who exemplifies Style in their work place. Hedgren Stores are located at Level 2 of The Northwing SM City Cebu, Ground Floor of SM City Clark, Upper Ground Floor of SM Megamall Fashion Hall and Level 3 of SM City North Edsa The Block. The brand is also available at The Travel Club, Bratpack, Ladybag stores and at selected SM, Robinsons and Landmark Department Stores nationwide.